Destiny, Fate or just good luck? This is the most rambling post you are possibly ever going to read! I don’t know what is wrong with me at the moment (or right with me, depending on how you look at it), but I am finding myself thinking about things alot more than I usually do, and that’s saying something! I haven’t really put much medical stuff out recently, mostly due to the fact that nothing too bloggable has happened at work for a while, and whilst there are ‘human stories’ in every job that I go on, sometimes I feel that it won’t be the most interesting thing to write, or read, about. What I have been thinking alot about recently though is Fate and Destiny. Wooooaahhh! 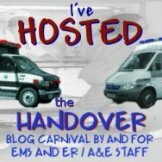 !, I hear you all say, I dont want this sort of philosophy from an EMS Blog!! Well, that is what I am thinking about, so that is what you are going to get tonight! Now, whilst I don’t believe in a ‘higher power’ as I am not a religious person in any way, does that mean that I don’t believe in fate or destiny? Destiny : Destiny may be seen either as a fixed sequence of events that is inevitable and unchangeable, or that individuals choose their own destiny by choosing different paths throughout their life. So looking at the two definitions, I guess I believe in destiny (at least the second definition of destiny) but not fate. I don’t believe that my life is laid out on an inevitable path, that no matter what happens and what choices I make in my life there will be no difference in the end result, whatever that may be. Other definitions of fate state that it is ‘pre-ordained from a higher being’. Again, I cannot go with that one as I do not believe in an entity that is a ‘supreme being’ or a God. Therefore that leaves me with destiny, and in this case I will go with the second part of the definition that I have shown above. The part which states that “individuals can choose their own destiny by choosing their own path”. There has been so many different paths that my life could have taken, and there have been some huge, monumental and life changing choices to make, and others not so much but still important in my life. There have also been ‘random’ occurrences that have taken some parts of my life to different paths which I would not have envisioned. So, here is a few of them. As a child, I saw my father cry, which still upsets me to this day. I believe that was the first time that I truly felt an unrelenting urge of compassion and caring to try and ease someone’s pain. I decided to get married stupidly early at 21. I had a child with a long term partner, but after 7 years decided that the relationship had been long gone for a couple of years and so we parted. I decided that no matter what happens in this marriage, we are in it for the long haul. I decided to try and approach someone to have a trip and exchange of ideas. I decided to try and get on the podcast the EMS garage, and arranged for Justin (the Happy Medic) to be on an episode too. I know it seems a little odd to bring it up to the current date with Justin and Ted, but as this is what most people are talking about when they mention the word ‘Fate or Destiny’ to me at the moment, I thought I would address that too. As you can see from the list, there are some things that have ‘happened to me’ which I firmly believe have made me into the person that I am today. There are many things I would change about me if I could, but I guess it’s too late for that. That’s just the way I have turned out. But there are also some things about me that I am proud of. Not in an achievement sort of way, but just some of my traits that I think bring out the good parts of me. Is it fate or destiny that caused my mother to suffer for years under the pressure of clinical depression, just to mould me into a compassionate and empathetic person? I hope not! Then come all of my decisions (decisions being the operative word). These were all my choices, I could have gone many different ways, but I instead made the choices that have led me to where I am today. Yes, some of those choices were strongly influenced by others, but ultimately it was my decision. Do I go left or right? Most of the time it is a free choice to make, only burdened by pressures that you have put on yourself through other choices that you have made before hand. If it was ‘predestined’ that I was going to be part of this fantastic collection of EMS professionals and contribute in some way to make systems better, then there has been a huge amount of things put in place over my 37 years to bring me to this point and place in time. What happens from here is anybody’s guess. We could go on to bigger and better things or it could all end next month. Who knows? Ultimately though, I cannot believe in fate and destiny. Because for me to do that, means that everyone is governed by fate and destiny. Therefore all of the terrible and bad things that happen, where ‘meant to be’ and inevitable too. I also believe in the fallibility of me, and the fact that I will make more mistakes in my life, but just hold on to the hope that they will not affect anyone other than me. The mistakes I have made so far, seem to have helped shape me into who I am today, so maybe if I go on to make more mistakes, they will be for that reason again. Doh!!! That makes it sound like things happen for a reason, which brings me straight back to fate and destiny again! She was meaning that I am looking for a faith, which I really am not. I am happy with my belief system. I try and do good for everyone and I try to live a good life without harming or hurting anyone else. I don’t want anything else, and I don’t think I need anything else either. There isn’t really a point to this post. Just me putting some thoughts down onto the blog. You can either reflect on your own beliefs and maybe let me know what you think, or you can just think ‘bloody hell, what was all that about’, and look forward to me getting back to normal medical posting soon. Either way is good with me! Thanks for ploughing through that one! If I add one more little tidbit, please don't feel encumbered to think, reflect, discuss, then blog- unless of course, you really want to. I read all of them anyway, and you can't stop me. Nah nah!Here's the tidbit: Rather than go back and forth over whether faith exists or the choices we make in our life journeys are pre-destined, I would say a good look at where we are, how we got here and where we are going in our life journeys is enough of a self-evaluation to keep us on the track- wherever that takes us. Did that make sense? All from a fireman. You said, “I am happy with my belief system. I try and do good for everyone and I try to live a good life without harming or hurting anyone else. I don’t want anything else, and I don’t think I need anything else either.”Peace. It's amazing how one word, 'peace', at the end of your comment has sparked another smug grin from Mrs 999! it wasn't until I re-read that quoted section 3-4 times that I realized that I had contradicted myself in the last sentence. I'm so confused now !Thanks for pitching in mate. Wow, you get deep at times Mark!I too have a problem with a deity; there is no evidence. (If I want evidence-based medicine, shouldn't I also want evidence for this higher power, as that would be even more important? )However, I also believe in doing good, or at least in the words of Hippocrates – “First, do no harm”.To an extent, I believe in destiny the way you define it. You prepare yourself (usually unknowingly) for your next encounter in life. That preparation determines which path you take. Stuff happens; the way you deal with stuff is a result of your preparation, your experience.Is it fate that makes a lad from a loveless home commit criminal acts? No, it's the preparation he had during childhood. Is it fate that makes people from public school captains of industry (even if they're crap)? No, it's the preparation they had at school which made them feel confident. It occurred to me after much thought that this life is far too complicated for me to ever figure out, so by reason of deduction I've decided that a higher power that I'm never going to figure out, nor am I supposed to, exists. I don't think this higher power is a deity, or even aware of my existance, and am quite certain that this is the only life I will ever know, but something has to be behind everything. It just has to!And whatever this power is, it has our collective best interest at heart. what an interesting and thought provoking post. I go back and forth on the subject myself. I look back on things (and I'm speaking just on the EMS side of my life for this example) and there are many events and choices that could be interpreted as fate, destiny or random. A short Bio if I may. I have wanted to be a Paramedic since I was five yeas old. My grandfather was a Fire Chief, but he died when I was six so I don't see much time for influence there. It's just something I wanted. I played with the idea all through my teens and had tremendous self doubt. I did not think I was smart enough or strong enough to be able to do it. Then at 19y/o, much to the encouragement of some very meaningful people in my life. I signed up for EMT school and that was that. I was in the groove you could say, and every thing felt right. I had many opportunities to join the fire service and never wanted it. The idea just didn't feel right. I lived within an hours drive of two of the states best and oldest Paramedic schools. I chose to move over 300mi away to go to a small paramedic school that know one had heard of because it just felt right. The stories and experiences that that choice and many other like it are a whole other comment or post. So, was I made for medicine? Or was I just stubborn about a childhood thought and made a bunch of crazy random choices? I'd like to think there's a place and a purpose for me and every one in this wold. We must just be willing to accept responsibility for that purpose. Take care triple 9.